The kitchen is the heart of the home and a dated one can make the entire home feel a lot older. Sprucing up your kitchen before selling, or to live with, is a great way to make the whole home feel more inviting. If you want to design your own bespoke kitchen, then it’s time to follow our advice and get that ball rolling. 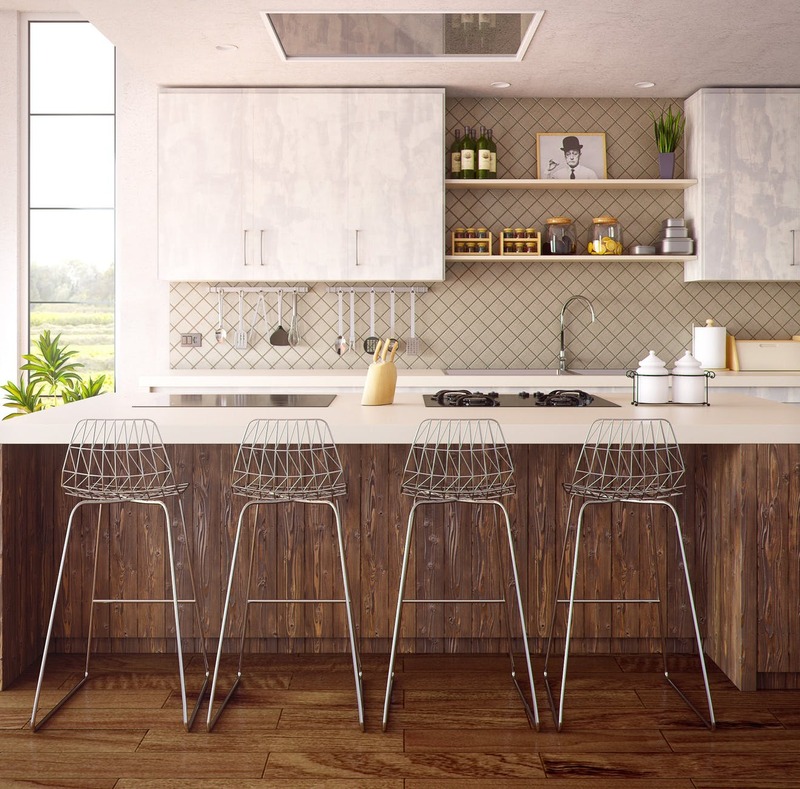 Here’s how you can begin to design your own kitchen. The materials that you use will be integral to the way the finished product will look. Marble, slate and glass are all used in a variety of kitchens – it’s up to you which types and colours you prefer. If you’re adding to your kitchen, then be sure to use protective sheets from a company like TRIMACO, who offer a range of industrial protective equipment, to cover up your work surfaces and keep them pristine. Cost will most likely factor into the materials that you end up using, but it’s not the only thing that you should thing about. For example, marble is a lot harder wearing and classic than some patterned work surfaces, which may mean you have to replace it less often. Although it might cost you more at the outset, it’s an investment in your home. Many hardware shops will be able to give you samples of their materials, so you can take them home and decide if you’d want them around for good. Something might look fantastic in the shop, but you might find when you get it home it’s too loud or too easily stained for day to day use. The lighting that you use in your kitchen will also play a role. Spotlights are among the most popular options for kitchens these days, as they provide a lot of light without using a lot of energy. This helps the entire home to save energy and reduces your carbon footprint too, it’s a win-win. As well as the types of lights you’ll use, you should also consider where they will be placed. If you have an island or feature point of the kitchen, then you might want to place the lights to show this off. Making these choices can be tough, but it’s well worth putting the extra effort in. Accessories often make all the difference as these final touches spruce up the entire room. Don’t go overboard and clutter up your new kitchen with too many of these, use a selective approach and pop in a few accessories that enhance the room. This is another chance for you to let your own personality shine through in your decorating, whether that’s with funny signs or chic ornaments. Everyone’s home is different and yours should reflect exactly who you are. When it comes to the kitchen, you can make a variety of different choices to show off your personality. Just make sure that they come together in one cohesive design and then you can get busy planning your next party to show it off to your friends.